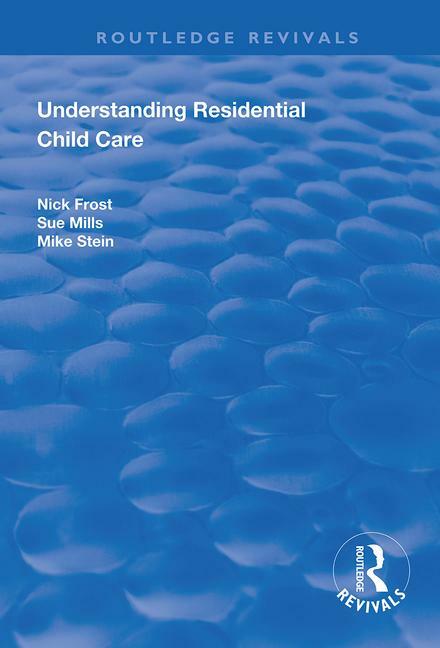 First published in 1999, the overall aim of the book is to provide a comprehensive critical guide to the theory and practice of residential care. This is achieved by analysing the history and development of residential child care, examining the current legislative framework and analysing research. The volume has been written against the background of a crisis of confidence in residential child care. The system is often seen as facing perpetual problems of abuse, lack of control and crime. This book seeks to both understand and respond to this challenging situation. Understanding Residential Child Care commences by providing historical and theoretical perspectives. Having provided this analysis the authors move on to examine the empowerment of young people, the framework provided by the Children Act, the role of the manager, the importance of supporting and supervising staff, abuse in care and the experience of leaving care. The book concludes with a chapter suggesting a way forward for residential child care. The core concept explored and applied throughout the book is that of empowerment. It is suggested that this concept can act as an organising framework for re-casting residential child care in a positive manner, so that a quality environment can be provided which can effectively protect and promote the best interests of the child. A future for residential child care?